These days, my job takes me all over the 305, this allots me the opportunity to check out more restaurants for lunch. I'm always looking for little hole-in-the-wall places and preferably on the 3B's side (bueno, bonito y barato). 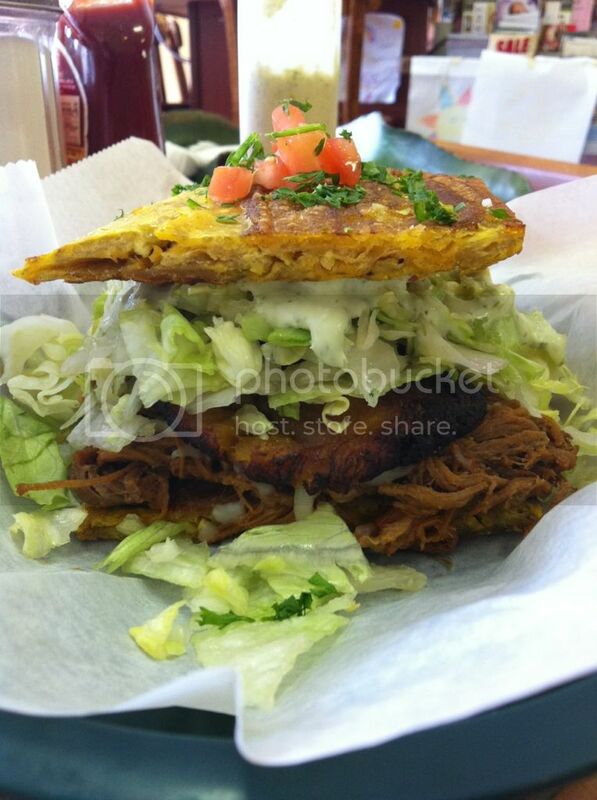 I recently stumbled upon Don Toston y Doña Arepa, it's located on the west end of a strip mall on Flagler street, but for some reason the name caught my attention. I peeked inside and there were a couple of people eating, so I decided to sit down and just give it a shot. The waitress was nice and took the time to explain the menu with her thick Venezuelan accent. For my first visit I decided to start off with chicharrones and arepas. I'm half Colombian and as my mom puts it, tremenda pesada when it comes to arepas. 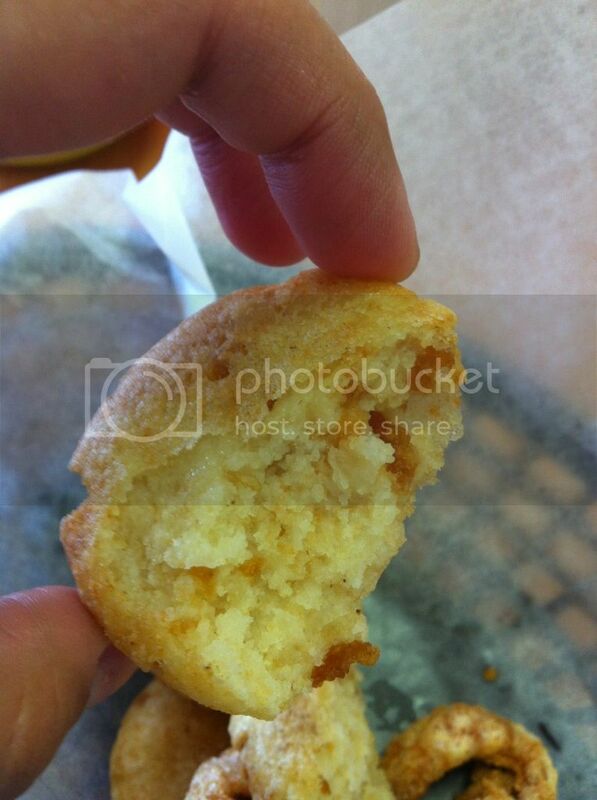 So when my arepas were served I was perplexed, for one, the arepas had been fried, which isn't typical, but oh well. I then split one open and noticed small specks of something brown, I took a bite and it tasted good. It tasted as if it had been fried in pork fat. I kept inspecting these brown specks in my arepa only to realize that they were actually small bits of chicharrones. Although the arepas were very different to what I'm accustomed to, I loved the flavor and the bits of chicharron is ingenious. Which brings me to the chicharrones the arepas are served with, when you tell me “chicharrones,” I expect chunks of fried pork belly. NOT pork rinds that came out of a bag, no me jodas. That was a total disappointment. In the future, I'll get the arepas by themselves and not bother with their "chicharrones." Up next, I went with a Patacon con Carne Mechada. 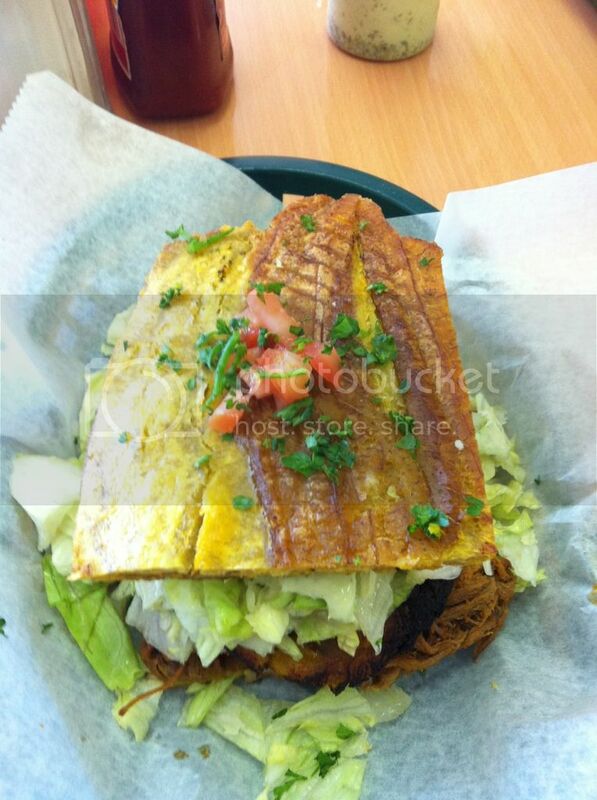 This sandwich of sorts comes between two giant fried tostones, shredded beef (ropa vieja), fried sweet plantain (mas platano), cheese, lettuce, tomato and a cilantro/garlic sauce. Esta mierda was the messiest sandwich I've ever had, by the time I was done I looked like Rudy Eugene's twin sister. Now don't get me wrong, I say “esta mierda” in the best way possible. This sandwich was delicious, the meat was seasoned perfectly and the cilantro/garlic sauce was a perfect compliment, but it was impossible to eat with your bare hands and not end up looking like a hot mess. 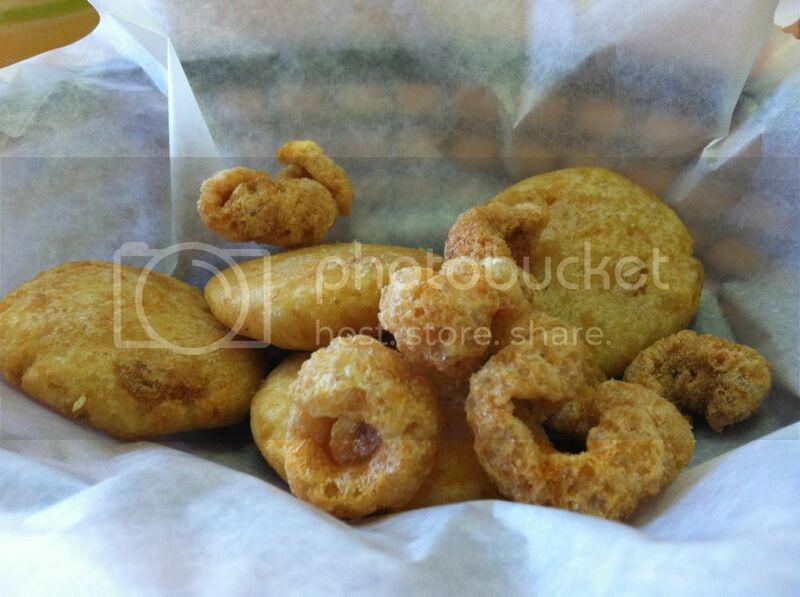 On my next visit I started off with their Frituritas de Fufu. 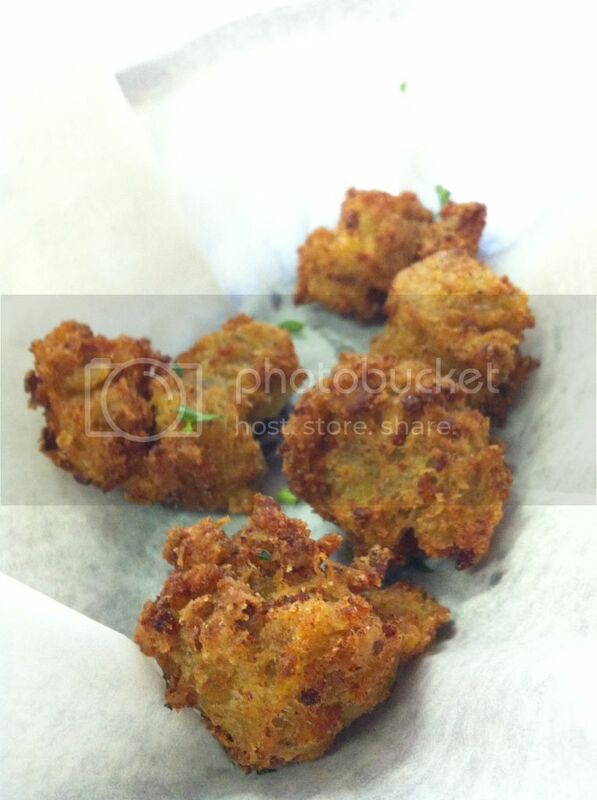 These little fried nuggets of heaven are served with your choice of mango sauce or their cilantro garlic sauce. Their fufu is homemade and then rolled into bite size balls then deep fried til crisp. I liked them best with the cilantro garlic sauce, but by all means give the mango sauce a shot. My only critique is that I would've liked to have seen a more generous portion, but that's only because I really liked them. The last thing I've had at Don Toston y Doña Arepa is their Cachapa with Queso De Mano. 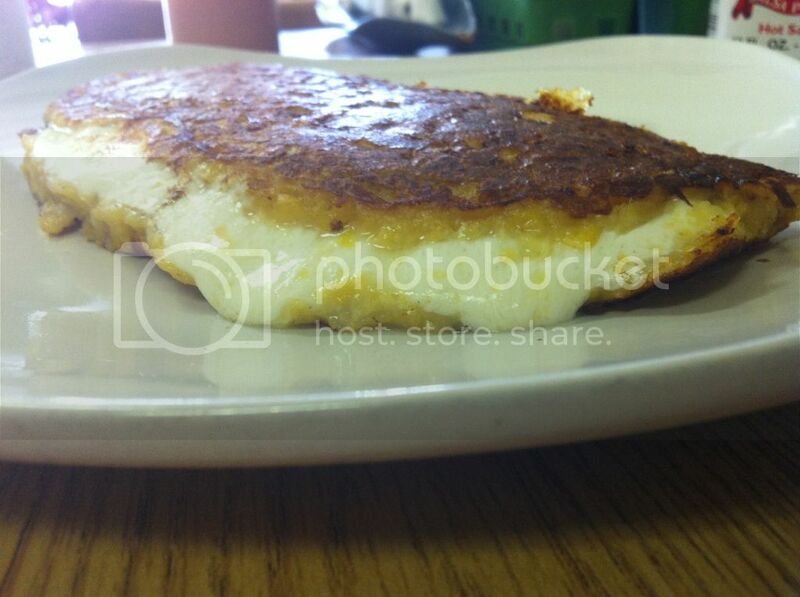 Their Cachapa (or as Colombians know them, arepa de choclo) is rich and homemade with real yellow corn. This thing was massive, that's what she said. Their queso de mano is freshly made in-house according to the waitress and tasted great. This definitely ain't like one of those arepas you get at the Youth Fair (yes, I still call it the Youth Fair), this was the real deal. 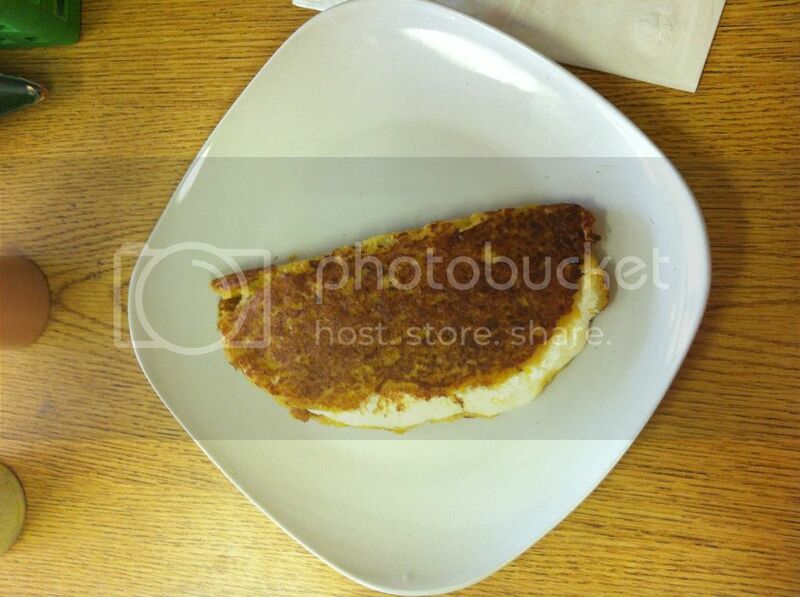 The best part is that for only $6.00 it was filling and delicious. I definitely plan on hitting up this place on a consistent basis, they offer home made pizza, and some Venezuelan treats that I plan on exploring. The only thing I will avoid is their cheap excuse for chicharrones. If you're in the Flagler/Miami area, give this place a try. The service is quick, the food is authentic and good.